Please read these product terms and conditions carefully as they set out the terms under which Next Domestic Appliances, (operated by AO Retail Ltd, trading as Next Domestic Appliances), makes the products available to you ("Product Terms"). You as the customer will transact with AO Retail Limited (the Company) unless you purchase on a Next Account. Goods purchased on a Next Account will be purchased from Next Retail Limited. The prices payable for the items that you order are clearly set out on the web site. All prices are expressed inclusive of any VAT payable. The price of the items does not include the delivery charge. The standard delivery service starts from £20 (separate charges for Northern Ireland). Prices can change and we always bring you the latest prices as quickly as possible. *Please note that there are additional charges for deliveries made on a Saturday or Sunday, next day and for 2-3 day delivery (available in mainland UK only). We will send to you an order acknowledgement email detailing the products you have ordered. This is not an order confirmation or order acceptance from www.nextdomesticappliances.co.uk. 5.1 Delivery will be made to the address specified by you. Please note that our standard delivery of products is within mainland UK*, including the Isle of Wight. Our courier will make all deliveries to you. If you order and specify items with different delivery dates, we will ship them separately and you will be charged a delivery charge each time. Standard delivery starts from £20 within the UK (separate charges in Northern Ireland) regardless of the number of items delivered. 5.2 There are additional charges for deliveries made on a Saturday or Sunday (Please note, this service is only available to UK mainland postcodes*). Surcharges may apply for special deliveries where there are access restrictions. If you are not at home for a pre-arranged delivery then we reserve the right to charge you to redeliver your order. 5.3 We do use third party couriers for Northern Ireland, in which case the chosen date is when the delivery will happen into the third party courier. You will then be contacted by the courier to arrange the final delivery to your property. 5.4 After your delivery, we advise you to check the goods and inform us of any obvious cosmetic damage. If there is any noticeable damage to the goods, please advise us as soon as possible by calling us on 0333 777 8907. 5.5 Delivery of appliances to the property (in particular large or heavy items) will be dependent on sufficient access to your property/room. Any steps up or down with no lift access, narrow entrances, turns on stairways, scaffolding are some reasons that could restrict delivery. We recommend that where required you book any fitters for the day after delivery. Deliveries to commercial properties could void your warranty. * Unfortunately, we can’t deliver to you if you’re located in the Scottish Highlands, Scottish Islands, Channel Islands, the Isle of Man or the Republic of Ireland. 7.1 There is an additional charge for this service. 2-3 delivery is available on selected products only. We will endeavour to get your appliances to you within two to three days of placing your order. 7.2 When this is not possible a suitable alternative delivery date will be offered and any additional Rapid Delivery Charges you have paid will be refunded. This service is available for mainland UK deliveries only. All other Terms and Conditions apply, including those for additional services. 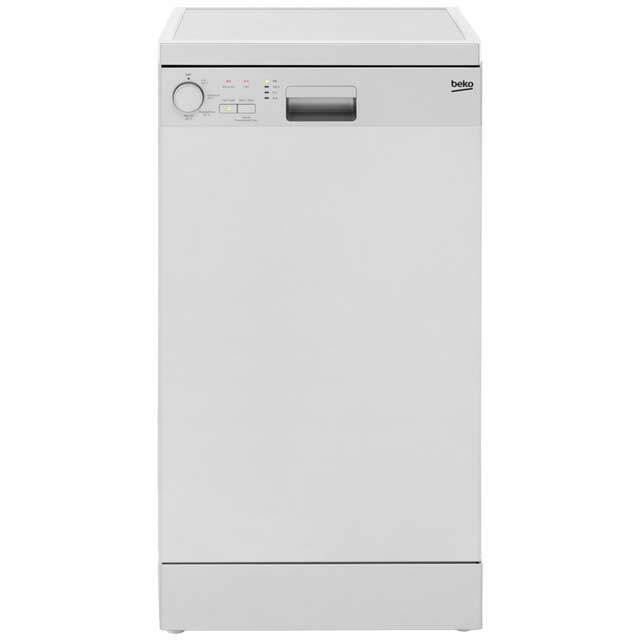 8.1 You can request that our delivery team connect your freestanding washing machine, washer dryer or dishwasher. This must be done at the point of order and a charge* will be made for each item. 8.2 Connection can be carried out to an existing standard domestic appliance water connection situated within one metre of the appliances location and to a suitable existing 13 amp socket within reach of the appliance’s power lead. Included in the connection will be the removal of transit brackets and a basic test of the appliance. Any electrical/plumbing supplies needed fail the delivery team's testing or are considered unsuitable. Any drainage/waste facilities needed are unsuitable. Mechanical adjustments are required to the appliance(s) to overcome such things as water pressure problems. Alterations are required to existing cupboards and cabinets. * Connection of a freestanding washing machine, washer dryer or dishwasher to suitable existing plumbing and plug socket starts from £19.99 per item. *We reserve the right to retain the connection charge if connection fails for any of the reasons mentioned above. 9.1 You can request that our delivery team collect and recycle your old appliance. This must be done at the point of order and a charge will be made for each item**. 9.2 All goods for collection and recycling must be disconnected from all water, electrical and gas supply in advance of the goods being removed and free from any housing units. All appliances should be emptied and, in the case of refrigeration, products defrosted. Only like for like appliances can be collected for recycling. 9.3 Collected goods for recycling are deemed to have zero value. ** The charge for collection of each appliance starts from just £15. To cancel a product and request collection please click here, or call 0333 777 8907. Our 14 day cancellation policy also applies to any additional services you may have ordered. If you have ordered any additional services for a product then these will be automatically be cancelled when the order for that product is cancelled, unless the service has already been performed. If you order an additional service and expressly choose for that service to be carried out within 14 days of order (by nominating your desired day of delivery or otherwise), then you are deemed to have waived your cancellation rights and we shall not be under any obligation to refund any charges paid for any such additional services. upon confirmation from the engineer that there is fault, and the goods do not conform to the contract, the Company shall at its option repair or replace such goods (or the defective part) or refund the price of such goods, whichever is considered to be economically viable to the Company. If the company does decide to replace the goods, it will be at the expense of the company. 11.2 The Company shall not be liable for the goods if you continue to use the goods after giving such notice to the Company; or alter or repair the goods without the written consent of the Company. 11.3 To resolve your problem with regard to Faulty products please contact one of our customer service team on 0333 7778907 who will be happy to help resolve your problem. 12.1 You can pay with any Maestro, MasterCard, American Express or Visa card and by charging to your Next directory account. Your payment card details will be encrypted to minimise the possibility of unauthorised access or disclosure. Authority for payment must be given at the time of order. It may be necessary to re-confirm your security number for data protection reasons. 12.2 We accept internet orders only from Web browsers that permit communication through Secure Socket Layer (SSL) technology, for example, 3.0 version or higher of Explorer and versions 3.02 or higher of Netscape. This means you cannot inadvertently place an order through an unsecured connection. 13.1 Subject to clause 13.2 if we fail to comply with these Terms, we shall not be responsible for any losses that you, the customer suffers as a result, except for those losses which are a foreseeable consequence of the failure to comply with these Terms. 13.4 The extent of the Company’s liability to you shall be limited to the amount of our product liability insurance at the time any claim is notified to us. 14.1 The Company will not be liable or responsible for any failure to perform, or delay in performance of, any of our obligations under these terms that is caused by events outside our reasonable control (Force Majeure Event). 14.3 Our obligations under these terms are suspended for the period that the Force Majeure Event continues, and we will have an extension of time to perform these obligations for the duration of that period. We will take reasonable steps to bring the Force Majeure Event to a close or to find a solution by which our obligations under these terms can be performed despite the Force Majeure Event. If you have an order query please email us at [email protected] or call us on 0333 777 8907 Monday to Friday 8am - 10pm and Saturday to Sunday 8am - 8pm.